This edition of Cruise News is being brought to you at sea aboard Diamond Princess somewhere in the South China Sea. “Diamond” has a fine Internet café claimed to be the largest at sea and is complete with its own dedicated coffee bar. It is very busy providing a service for business emails, social chit chat, and contributing towards AERBT. But don’t expect at sea the same download speeds as on land. This one is probably the best so far but patience is required. At 115,000 tons Diamond Princess cannot fit into the Panama Canal locks. For those familiar with Princess it is a development of its very successful Grand Princess class and later on this year will have a major re-fit including “Movies Under the Stars”, the poolside film screen and “The Sanctuary”, an adults only rest area. Diamond is well thought out and offers both fixed seating reservations and casual dining but with two-thirds of the passengers Princess regulars it is the traditional arrangement that is easily the most popular. Cruising from Bangkok to Xingang (for Beijing) one port follows another usually with a day at sea inbetween. Our harbour visits include Singapore, and in Vietnam Phu My, the fast developing port for Ho Chi Minh (still called Saigon by the locals), and the holiday resort of Nha Trang. There is an overnight stay in Hong Kong (including the harbour side laser light show) and on to Keelung (Taiwan) and Okinawa, 1,000 miles south of Japan proper. A maiden visit to the new Shanghai cruise terminal follows and then finally Xingang. Princess is now part of the Carnival Corporation – which includes P&O and Cunard. It was a successful British challenge to the US market but based in Los Angeles. Much of its UK heritage remains including afternoon tea (with sandwiches, scones and cakes), a very popular rendezvous much appreciated by the Americans. On this voyage the gambling is well supported and the stage shows excellent with live music and some interesting acts. It’s not music hall in the traditional sense, but nevertheless well-liked international entertainment. The ship is full with 1,133 from the United States, 491 from the UK, 303 Canadians, 210 from Germany, 178 Brazilians and 122 from Australia. Amongst 2,655 passengers 30 countries are represented, with the average age just over 60. For the previous voyage (in the reverse direction) the Brits outnumbered the Americans, a fine tribute to the Southampton sales office. With the ship’s staff coming from 45 nations it is a truly international gathering. Announcements for the most part take place just three times per day, and only in English. It is a quiet ship with plenty of deck space available for those who want to sit out in the sun. For passengers in the suites and top cabins Sabatini’s specialist Italian restaurant is open for breakfast, a recent innovation. The fayre is the same as elsewhere but it is quieter than the Horizon Court main self-service area. There is now a complimentary ice cream bar open on one of the swimming pool decks during daylight hours. Unlike some operators Princess does not charge for transport from the ship to a convenient landside point, usually the centre of the town or city. Cold towels and water is provided quayside. What is chargeable is behind the scene tours which include the bridge, backstage, the kitchens and food storage areas, and also the engineering areas. Much more comprehensive than previous arrangements these can take up to four hours. Also proving very popular are gourmet kitchen ‘teach ins’ by the Executive Chef in small groups. The bonus here of course is that you can actually eat what is prepared. The Princess brand has evolved over the years rather than leaped forward establishing a fine reputation for quality and service. Olympia in West London is not the most attractive venue for a public participation holiday show in late March. Frankly it is an outdated Victorian monstrosity which the Germans failed to bomb in World War II and should either be re-developed (it has a railway station of sorts, not that many people know that) or disposed of completely. Excel in Docklands is an alternative, but that also suffers from lack of accessibility. Other than the two Earls Court halls, which are under a threatened redevelopment shadow, London does not have a large scale central area exhibition centre. In spite of all these misgivings The Cruise Show, held over a weekend at the end of last month, was a great success, both in terms of numbers and the business completed. The attendance number was around 16,000 spread over two days and 70 cruise and cruise related companies took part. These ranged from the small offshore, very specialist single number passengers operators, to the likes of Royal Caribbean and the Carnival Group, with the largest ships accommodating 3,000 plus. Extremely well supported were the four cruise stage presentation areas: Sky Travel, New Ships, Specialist Cruises, and one sponsored by the Carnival Group which includes P&O Cruises, Cunard Line, Princess, Holland America Line, Carnival Cruise Lines and Costa. The speakers were of the highest calibre too, including John Ward, Editor of the Berlitz Cruise Guide; Jo Rzymowska, Associate Vice President & General Manager – UK & Ireland, Royal Caribbean Cruise Line; Trudy Redfern, her opposite number at Silversea; Larry Pimentel, President and CEO, Azamara Club Cruises; and on the river cruise front Tony Williamson of Avalon. AERBT will carry the story when the 2011 show is announced. Note the date. It is well worthwhile making the effort to attend. The Chief Executives of Carnival UK, Azamara Club Cruises and Norwegian Cruise Line will address this year’s ACE UK Cruise Convention, now in its fourth year, trade only and established as Britain’s annual industry get-together. It is Southampton’s turn to host the event this year 24-26 June. More than 600 delegates, including over 400 travel agents, are expected to attend. David Dingle (Carnival UK), Larry Pimentel (President of Azamara Club Cruises) and Kevin Sheehan (NCL) will cover topics including upselling to luxury, the value proposition of cruising and the state of the industry. A record six ships will be showcased at the Convention: Celebrity Eclipse, Cunard’s QM2, Compagnie du Ponant’s Le Boréal, NCL’s Norwegian Epic, P&O Cruises’ Azura and Princess Cruises’ Crown Princess. Well done to ACE for masterminding the event which has to be planned at least a couple of years ahead. This year’s Convention also includes a panel debate with: Kathryn Beadle, Sales and Marketing Director of Hurtigruten; Giles Hawke, Sales and Customer Services Director, Complete Cruise Solution; Carol Marlow, Managing Director P&O Cruises; Trudy Redfern, Senior Vice President, Silversea; Jo Rzymowska, Associate Vice President, Royal Caribbean; David Selby, Head of Cruise, Thomson & Island Cruises; and Peter Shanks, President and Managing Director, Cunard. AZURA is the name of P&O’s latest and greatest, a sister ship of Ventura. Both are developments of Carnival Lines Grand Princess series and were built in the Fincantieri yard at Trieste (Italy). Azura was named by the former ballerina Darcey Bussell at Southampton earlier this month. P&O largely caters for British holidaymakers and for its maiden season, Azura will cruise out of Southampton, ideally placed for the motorway system with its airport offering most domestic destinations and Heathrow just one hour away. Coach travel is available from a long list of cities (it could not be easier – just drop your cases by your coach at the pick-up point and they will arrive in your cabin). At 116,000 tonnes and 290 metres in length Azura has a great deal to offer. Her 'signature' features include a restaurant by Michelin-starred Chef Atul Kochhar, and a wine bar and restaurant by TV's Olly Smith, The Retreat open air spa terrace, SeaScreen outdoor cinema and the fleet's first single staterooms. This summer she will undertake a series of mainly two-week cruises to both the Baltic and Mediterranean before wintering in the Caribbean. DFDS SEAWAYS has appointed the expertise of two Wildlife Officers on board cruise ferry King of Scandinavia which sails from Newcastle to Amsterdam. The Wildlife Officers, from whale and dolphin charity ORCA, will give lively presentations to passengers, organise deck watches and point out the exciting habitants of the North Sea, as well as running fun and educational children’s activities. Common wildlife to spot en route includes dolphin, harbour porpoise, gannet, great skua, fulmar, kittiwake, and if you’re lucky, even minke whales. ORCA is a UK-based charity committed to the study of whales, dolphins and porpoises, and the promotion of their conservation worldwide through enthusing, inspiring and educating others. ORCA and DFDS Seaways have been working in partnership since 2007, studying marine mammals in the North Sea and providing educational facilities to customers on board. DFDS Seaways say they are delighted to be supporting ORCA by funding the Wildlife Officer positions and running these activities. DISNEY took one of the largest stands at the March Cruise show, marking the line’s return to European waters and also introducing Disney Dream for 2011 (See AERBT December 2009). In many ways the Disney vessels are retro ships, the current pair, and the new twosome, both having a silhouette not dissimilar to the original 1940’s Queen Elizabeth, now laid to rest in Hong Kong harbour. How many of the guests can remember the first Queen Elizabeth liner? In any event Disney has on offer either 12-night northern Europe cruises from Dover, or 10- and 11-night Mediterranean offerings from Barcelona. The whole experience is billed as a family holiday, dining for instance rotating through themed restaurants, your servers (American for waiters) moving with you from one resturant to another. Quality entertainment is a feature of the whole package and for adults. THE MAJESTIC LINE, a specialist operator, will add at least another two Skye and Inner Hebrides cruises for the 2011 season. The cruises will be aboard Majestic’s two traditional vessels The Glen Massan and Glen Tarsan. Both boats share the same traditional construction and are designed to accommodate up to 11 people in 5-star comfort. The layout of the vessels encourage informality and relaxation. They have been designed to allow guests to experience some of Scotland’s most wonderful scenery and witness wildlife (including eagles, otters and seals) all from the comfort of a matchless vantage point. There will be ample opportunity to experience some of the unique culture and heritage of the West Coast and Inner Hebrides such as Eilean Donan Castle, The Clan Donald Centre and Invererie the UK’s largest community not connected to the road network. THE WORLD CUP, being held in South Africa from 11 June until 11 July, might be an excuse for some to get away from it all and spend the time at sea. For others the fact that they are on a cruise will be something of an inconvenience. Cruise companies will no doubt be offering on-board connections to the blanket coverage being offered by the TV contractors. AERBT has learnt that guests vacationing on sister companies Azamara Club Cruises, Celebrity Cruises, and Royal Caribbean International have obtained rights to air all games of the 2010 FIFA World Cup while at sea in international waters on every ship across the three fleets. Guests sailing with any of the three cruise lines during the entire series of the matches can watch them in the comfort of their staterooms, and in designated onboard lounges. Special programmes are being organised so that fellow likeminded guests can get together for the games, with plenty of food and beverages available. If anyone has watched a big sporting occasion on board a ship at sea, usually in the theatre or large lounge, it can be fun. The Captain is the referee and it’s bad news for anyone who gets a red card. If any other cruise line is thinking of matching this facility please let AERBT know. We would be pleased to publicise the offering in the next edition of cruise roundup. MUSCAT, capital of Oman in the Arabian Gulf, is the latest port to promote its cruising aspirations. It's also a return to Oman's centuries old maritime heritage at the crossroads of the India to East Africa sailing routes. Mohammed bin Hamoud al Toobi, Oman Under Secretary of Tourism said: "Few people realise the value of cruise tourism, an area of great interest to us. For several years, we have enjoyed double digit growth in ship arrivals, a medium sized ship of 1,500 passengers is equivalent to three Boeing Jumbos landing, so this is a key opportunity." Oman is experiencing a marketing push into Europe spearheaded by Oman Air, the country’s highly esteemed airline. In January Queen Mary 2 made her maiden call into Muscat's new US$7m cruise terminal. RCCL Brilliance of the Seas, at 90,000 tons, smaller than QM has been a very recent visitor. All in all about two dozen cruise lines have included the Sultanate in their itineraries for this year. P&O’s Arcadia and Aurora have both visited the port recently on their world voyages. Muscat, described in this month's Conde Nast Traveller as “one of the Arab World's cleanest, safest capitals,” has plenty to tempt visitors ashore. Cruisers can enjoy a half day Muscat city tour, taking in the Grand Mosque, the Muttrah souk (don't miss the frankincense) and dining experiences along the Corniche. 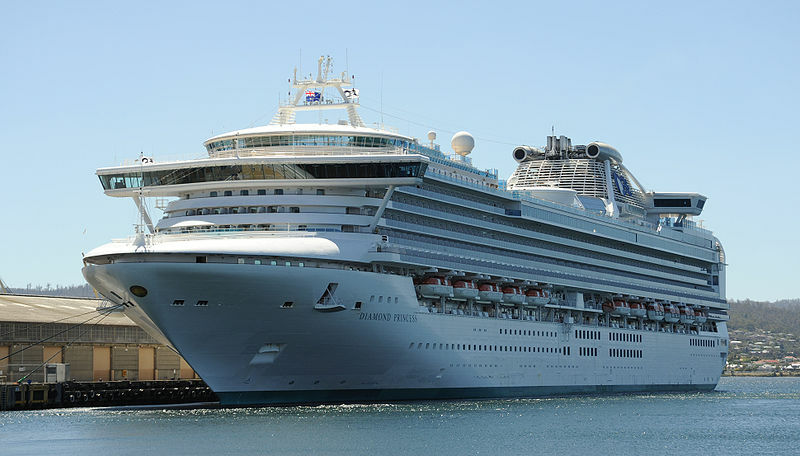 PRINCESS CRUISES is to base Sea Princess in Australia for the 2011-12 season, taking the size of the locally based Princess fleet to an unprecedented four ships. Fly packages are available from Europe and most other places. Sailing from Sydney between October 2011 and March 2012, the 77,000-ton ship will offer cruises to New Zealand, Japan and Tasmania. She joins Dawn Princess, Sun Princess and Sapphire Princess in sailing Australian waters. The move of Sea Princess to Sydney means that Sun Princess will head north to Brisbane becoming the first Princess Cruises' ship to be based in the Queensland capital. Sun Princess cruises from Brisbane and will include seven two-week sojourns to New Zealand, two 11-night South Pacific cruises to Fiji and an exciting new 41-night voyage to Asia, featuring visits to Brunei, Vietnam, Japan and China including Beijing. Meanwhile, Dawn Princess will return to Melbourne for another summer season, offering cruises to New Zealand, around Australia and to Tahiti and Hawaii. WINDSTAR CRUISES is an independent operation which might not be familiar to readers although it was once part of the enormous Carnival family. Its three ships all have sails. Windstar's ships are officially motor-sail-yachts (msy), but the designation belies the vessels' unique rigging. The sales unfurl in two minutes at the push of a button. All functions are operated from the bridge by computer control, and it is an open area for passengers who can drop by and acquaint themselves with the crew. In a normal summer (say 2010) the company’s three ships, Wind Spirit, Wind Star and Wind Surf, will frequent the Mediterranean, visiting ports big, and with their shallow draft, small. However for 2011 a number of Baltic cruises have been added featuring Spirit, at 5,350 tons and 148 passengers, the smallest ship in the fleet. All the sailings are of seven nights, initially from Le Havre, thence from Oslo, followed by two cruises from Stockholm. Keen sailing ship fans can take in the transatlantic sailings in both directions but prospective passengers should note that at 12 knots in a motor mode they are not that quick and facilities on board, whilst ideal for European waters, are limited for ocean crossings. TV is provided as well as DVD’s. Malcolm Ginsberg at sea approaching Taiwan.